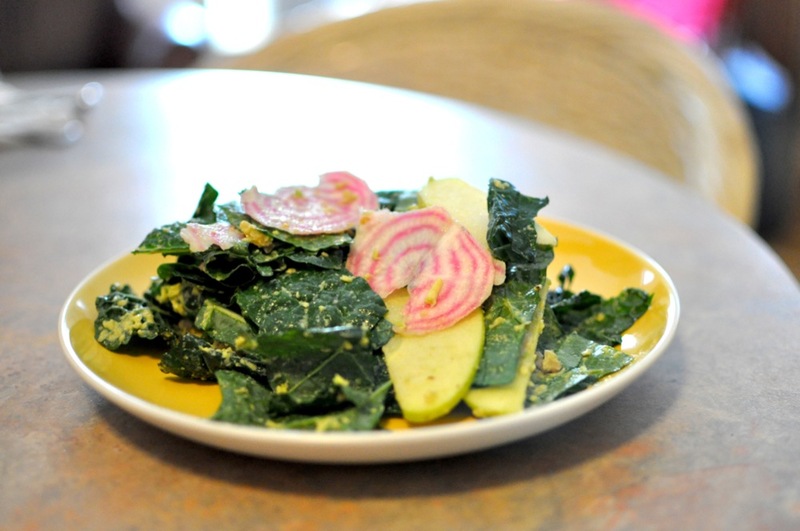 Using a food processor, combine the avocado, vinegar, dijon mustard, and oil. Pulse until it is smooth, although it will remain thick. Season with salt and pepper. 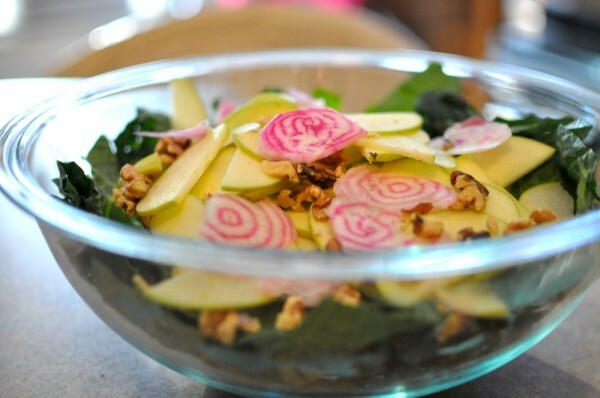 Place the kale, beet slices, apple wedges, and walnut pieces in a large bowl and toss to combine. Add the avocado dressing as well as additional salt and pepper, if desired. Toss and let sit for a few minutes to marinate. Plate and serve.